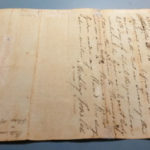 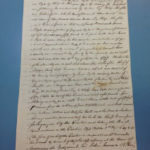 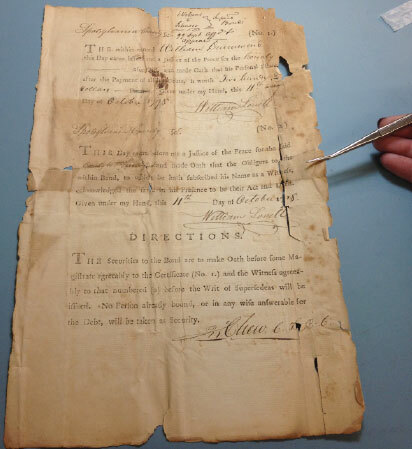 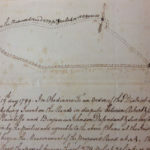 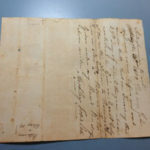 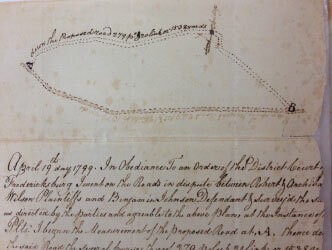 This is a 218-year-old court document in desperate need of stabilization. 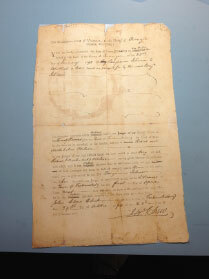 There are tears, damage from folding, acidic damage and water damage. 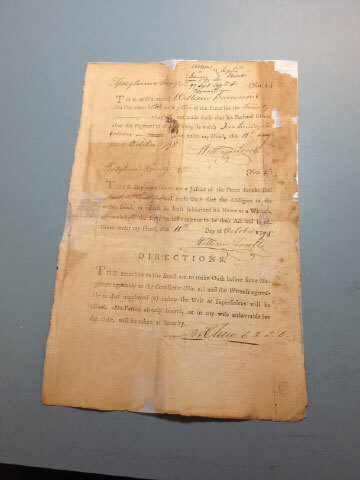 The document was mended with heat-set mulberry fiber tissue. 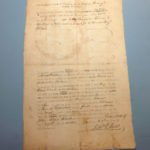 Following basic preservation standards, all alterations to the document are fully reversible. 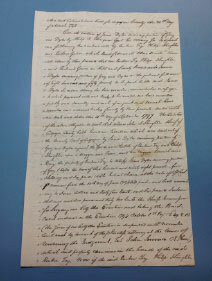 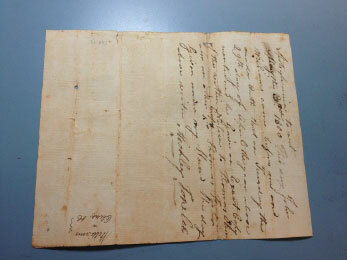 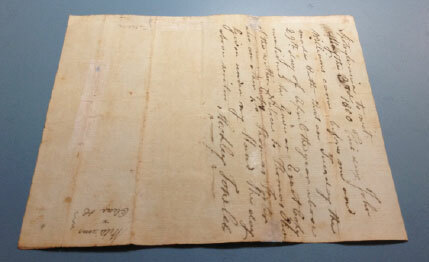 This document is now stable enough to be handled, examined, digitized, and stored for another century.